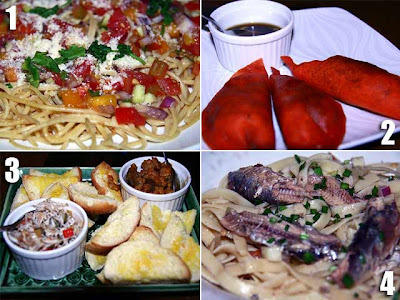 Saramsam Restaurant in Laoag, Ilocos Norte is known for its fusion pizzas and traditional Ilocano food. Their specialty is the Poque-Poque Pizza, which is pizza topped with poque-poque, an Ilocano eggplant dish: eggplant, tomatoes, onions ang egg. It's one of the dishes they served us when the Lakbay Norte Media Tour had dinner there. Also served to us was (1) Saramsam Pasta which has green and ripe mango and KBL (kamatis, bagoong and lasona or spring onions), (2) Dinardaraan Empanada which is the traditional empanada crust with dinuguan filling, (3) Tuna and Igado Crostinis, igado is made of pork liver and pork meat, and (4) Sardinas Pasta. 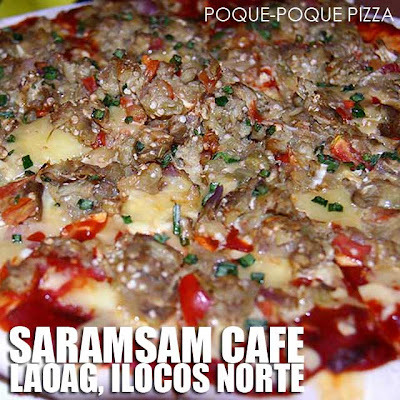 Aside from Poque-Poque Pizza, they also have the Dinardaraan Pizza: dinuguan topped with green chili peppers; Longaniza Pizza topped with the local Laoag longaniza; and the Carbonara Pizza topped with Currimao oysters. And if you need a place to hang-out, they have WiFi Internet too. Thanks to Bikoy for the photos! featuring traditional & fusion Ilonggo foods. 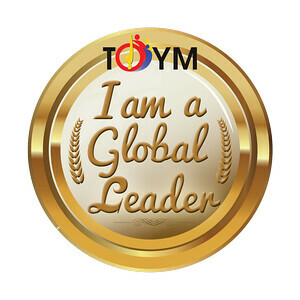 But frequently, I include Ilocano foods as well as my wife is an Ilocana (Ilocos Sur)and she cooks 99% Ilocano cuisine.